I’ve always been pear shaped. Fortunately for me, I’ve come to love my curves and have figured out how to dress them well. Unfortunately for me, pear shaped women often tend to suffer the most from cellulite. For as long as I can remember I’ve had cellulite on the back of my legs. It doesn’t bother me as much as it used to, but come bikini season, I do find myself wishing that it wasn’t there. However, I’m not one to shell out a ton of money on anti-cellulite creams. 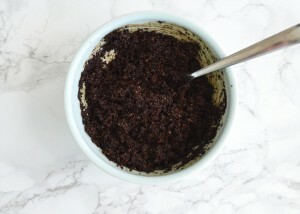 Therefore, I went with the DIY route and created a smoothing coffee scrub to combat my cellulite! 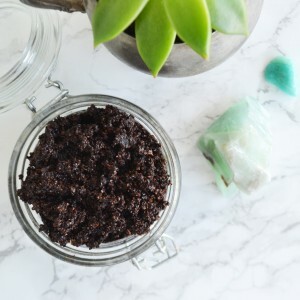 I love this scrub because it’s super easy, and also pretty affordable. I use coffee, coconut oil and matcha powder in mine. 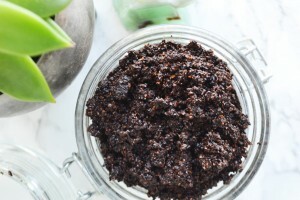 This combination makes for a moisturizing, energizing and antioxidant packed scrub. 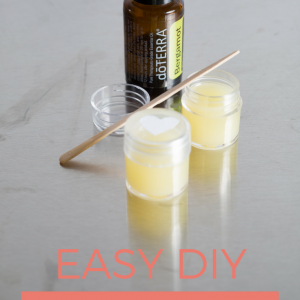 Since I’ve had to deal with cellulite my whole life, I’ve researched a lot of remedies for it. Coffee is always a key ingredient because of the caffeine. I also used matcha powder in mine as well because of the powerful antioxidants. The coconut oil is mainly for its amazing moisturizing properties. The matcha is a bit expensive to buy, but the health benefits alone make it well worth it. 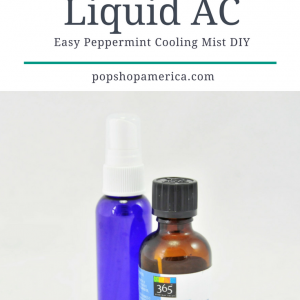 I also love to use it in baked goods and for lattes, so I get a ton of use out of it! 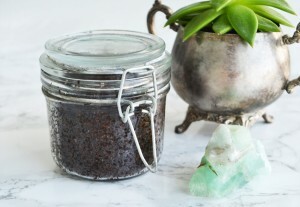 The coffee serves as the exfoliant in this scrub, and also helps to energize your skin. Full disclosure, I did use this scrub at night once and found that I had trouble falling asleep. Maybe it was just the placebo effect, but maybe not. Either way, you’ve been warned! Lastly, the coconut oil really helps to smooth and moisturize your skin. Also, because I use the scrub in the shower, I find that my skin feels moisturized without feeling greasy. 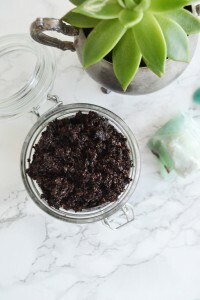 I also love that this scrub comes together super fast so it takes next to no time to whip up a batch! 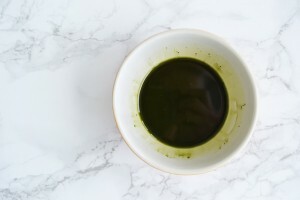 1/2 – 1 tsp of matcha green tea powder. I bought this one from David’s Tea. you will also need an air tight container to store your scrub in! Next, add your matcha (sift it if you wish) into the coconut oil and stir until it is dissolved. Mixing these two together first helps to ensure that the matcha gets evenly distributed! Add the coffee grounds and stir until combined. The grounds will look kind of like you’re making the crust for oreo cheesecake. I apologize in advance for any cravings that might occur. Lastly, scoop your scrub into an air tight container and store in the shower. 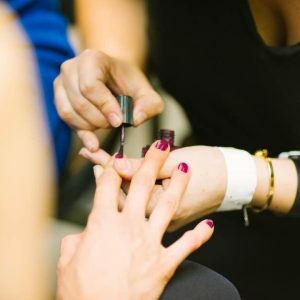 When using in the shower, I turn off the water, grab a good sized amount in my palms and scrub my skin in circular motions where I have cellulite for a good 5-8 minutes. Try not to scrub too hard, but expect that your skin may be a bit red afterwards. 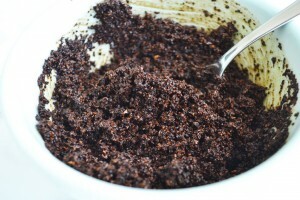 I use my smoothing coffee scrub a few times a week and love how soft and moisturized my skin feels afterwards. After using it for a few weeks, I can see a slight improvement in my cellulite. I count this as a win considering I was able to make the scrub myself and didn’t have to shell out a ton of money! I also know that the scrub contains zero chemicals or fillers, which is also a huge plus. 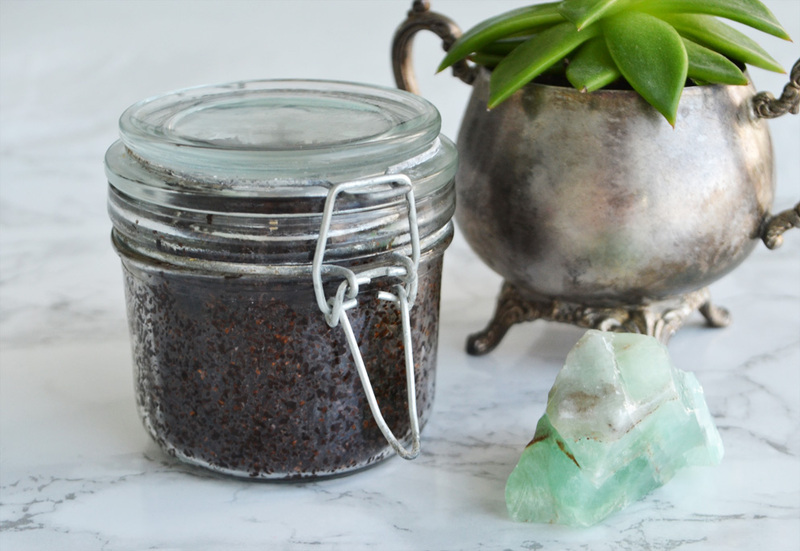 Let me know what you think of my smoothing coffee scrub! Would you make some for yourself? I’ve heard about the benefits of using caffeine to reduce the appearance of cellulite. I’ll have to give this a try! The coffee is fresh, correct? And not used coffee grounds? Great question! Yes fresh coffee because the caffeine is part of what makes the skin feel smoother and tighter.